The Premier of the Rogue: As If, And What? 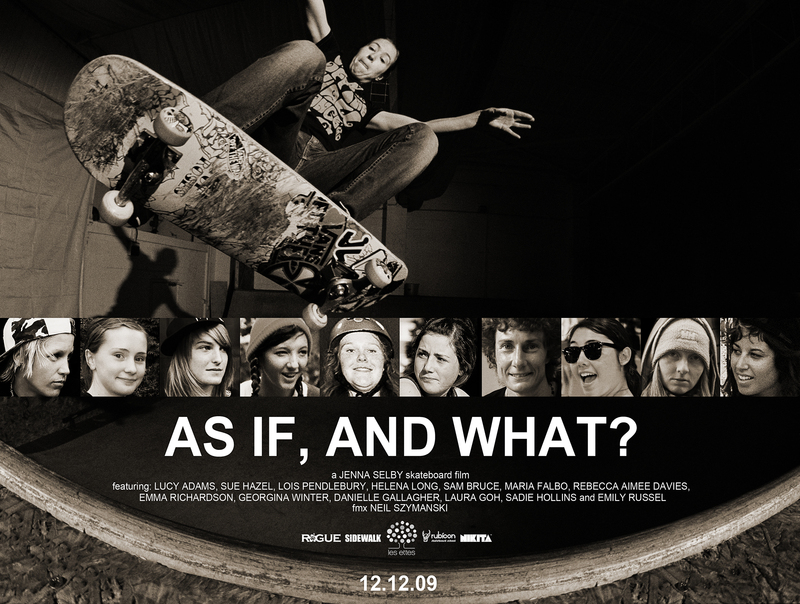 – UK’s first female skateboarding film is upon us! Riders featured include Lucy Adams, Lois Pendlebury, Helena Long, Sam Bruce, Rebecca Aimee Davies, Sue Hazel and many more. The premier of the film will take place on Saturday 12th December at 7.15pm at The Courthouse Hotel Screening Room: MAP HERE. The film is approx 33mins. This has been sold out, so a second showing is at 7:50pm. Please email info@rogueskateboards.co.uk for further information.